Miloco Builds have overseen the renovation of Dock Street Studios, essentially a half-finished project in London. We removed a large portion of the existing treatment and Nick Whitaker designed a completely new acoustic scheme to sit behind the fabric finish. 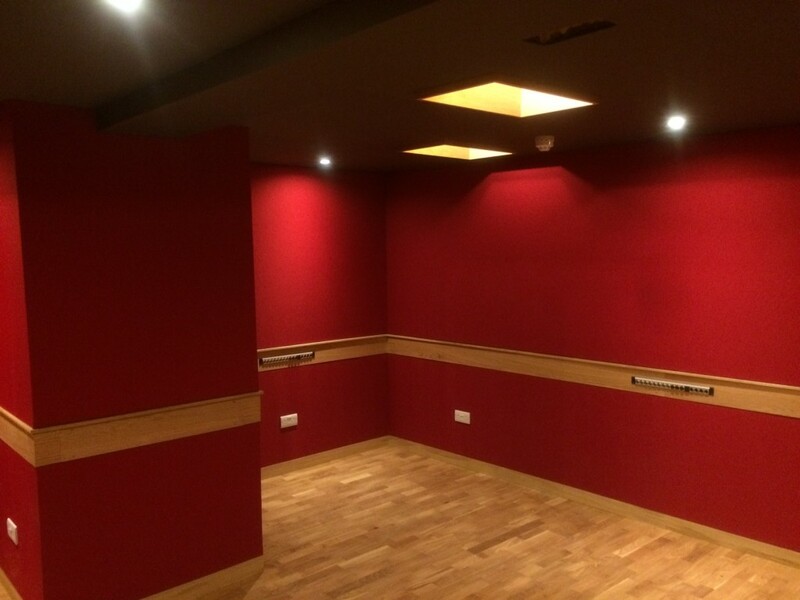 We consolidated the air conditioning system and mains installation to provide a clean supply to the recording rooms. The addition of a small booth makes the room more versatile and the addition of the ceiling light boxes helps raise the apparent ceiling height.